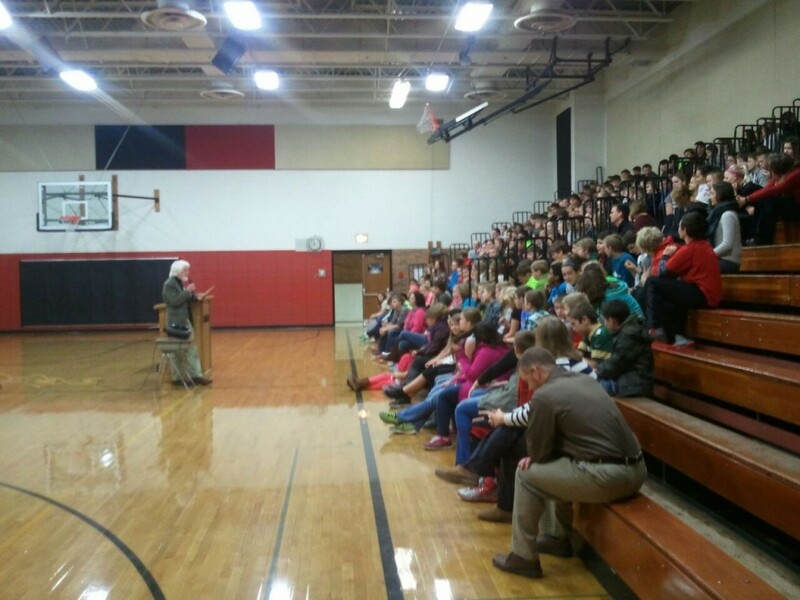 Veterans for Peace member David Giffey, left, delivered presentations titled “Work for Peace” at River Valley Middle School, Spring Green, and Plain Elementary School, Village of Plain, on Armistice Day, November 11, 2014. The programs on behalf of Chapter 25 included 280 middle school students and 60 elementary school children from kindergarten through grade five. Giffey is a veteran of the American war in Vietnam. His presentation described the human and monetary cost of wars and his return visit to Vietnam in 1995 as part of a delegation to dedicate Vietnamese-American Peace Park north of Hanoi.